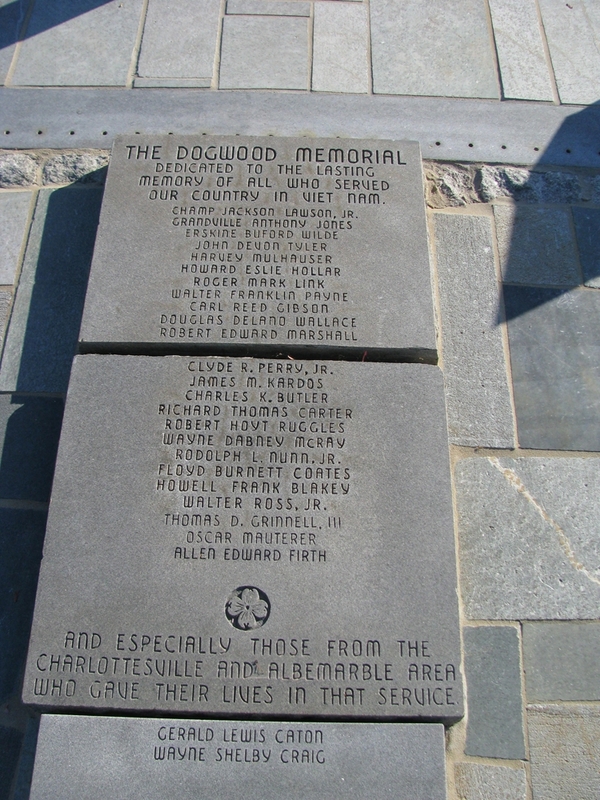 The Charlottesville Dogwood Vietnam Memorial was the first Civic/Public Memorial in the United States dedicated to those who served and sacrificed their lives in the service to their country in the war in Vietnam. The first Albemarle/Charlottesville Vietnam War casualty was SP4 Champ Jackson Lawson, Jr. Dogwood Festival Board Members, Bill Gentry, Jim Shisler, and Ken Staples, had the vision and presented the memorial project to the Festival Board. 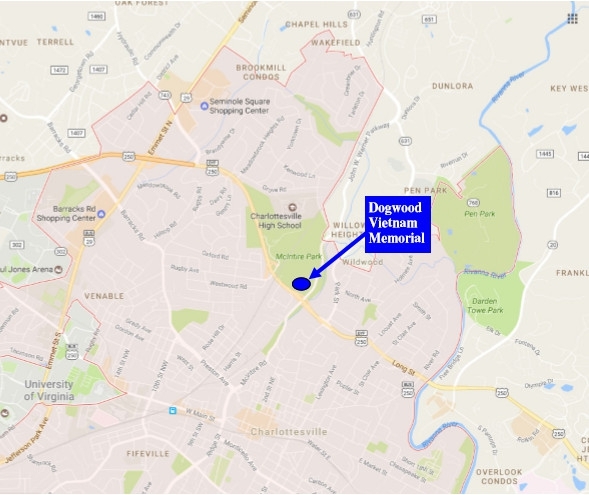 The project was adopted and named the Charlottesville Dogwood Vietnam Memorial. The knoll which protrudes close to the US 250 Bypass and is situated just west of McIntire Road was chosen for the memorial site. Jim Shisler met with Charlottesville City Manager, James Bowen, and obtained permission for the site and construction of the memorial. They agreed that no city funds would be used to build the memorial. 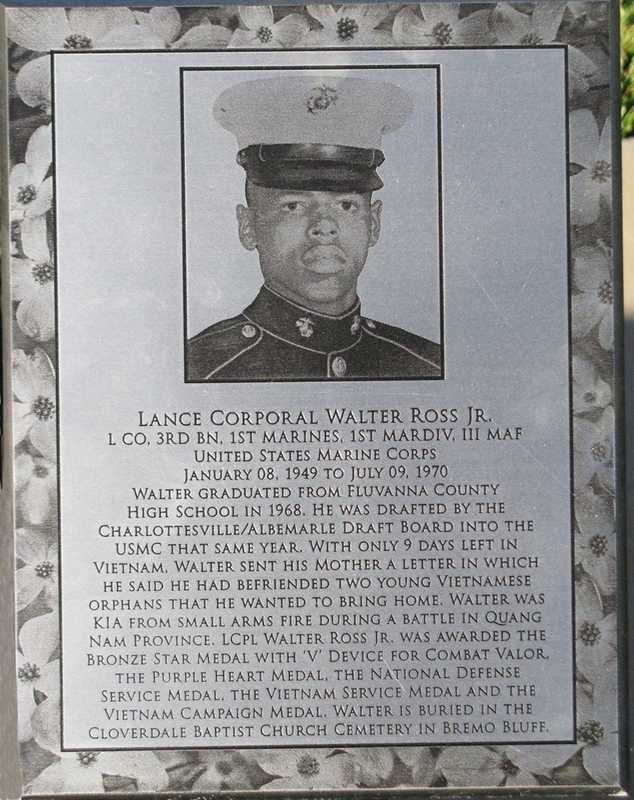 The purpose of the memorial was stated as, “The Dogwood Memorial dedicated to the lasting memory of these men and all who served our country in Vietnam.” Local businesses donated necessary items: Flagpole: Harry A. Wright, Inc., Plaque: W. A. Hartman Memorials, and Concrete: Virginia Land Company. 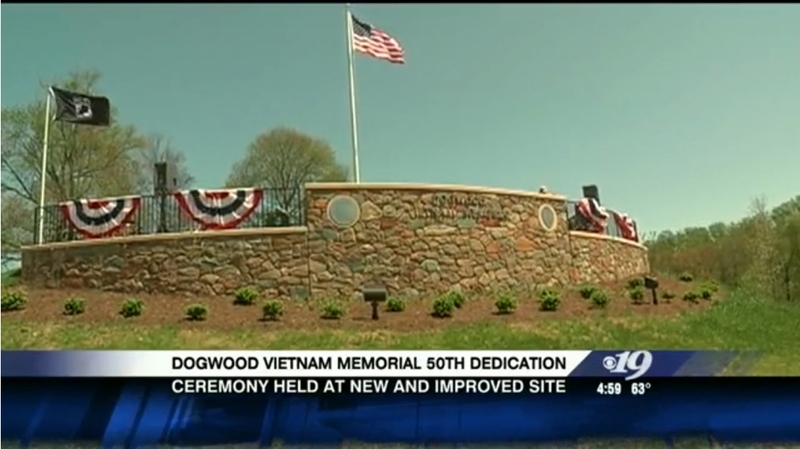 Interim construction was completed on January 12, 1966 and the Charlottesville Dogwood Vietnam Memorial was dedicated April 20, 1966 as a part of the annual Charlottesville Dogwood Festival. 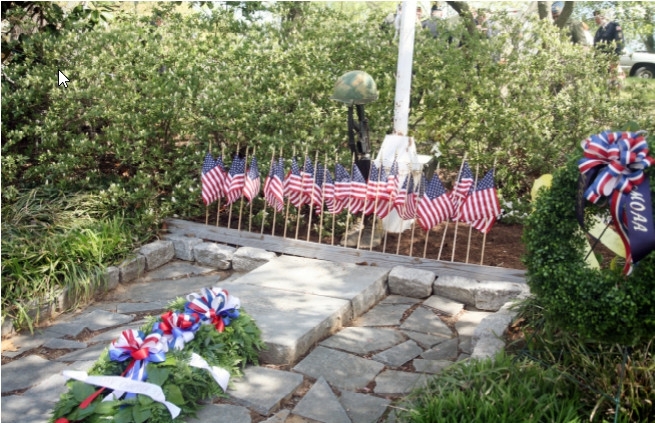 At this dedication, the Charlottesville Dogwood Vietnam Memorial became the first Civic/Public Memorial in the United States dedicated to those who served and sacrificed their lives in the service to their country in the war in Vietnam. 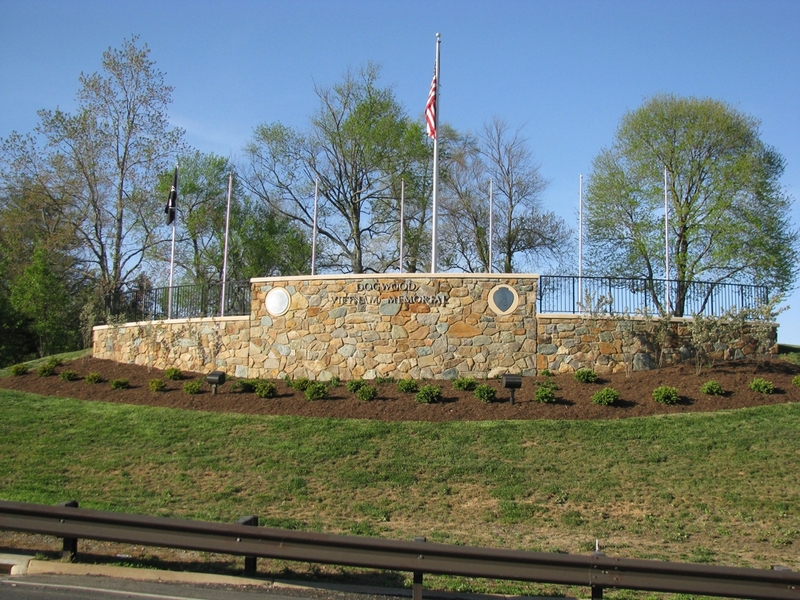 Between 2013 and 2015 the Charlottesville Dogwood Vietnam Memorial was reconstructed as a portion of the John Warner parkway. The memorial was reoriented 180 degrees, raised 12 feet, individual plaques were added for each veteran killed during the Vietnam war. The fiftieth re-dedication was held April 2016 with over 750 people in attendance and over 90 participants.